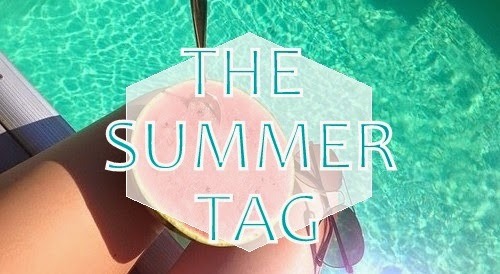 Today is Sunday and it means that I am doing a tag!!! I was tagged by the lovely Miss Megan! You should definitely go and check her blog and follow her on bloglovin! She is really honest young blogger and you can tell that she pays a lot of attention to the text that she is creating. Ok, now I think it's time to move on to the questions. 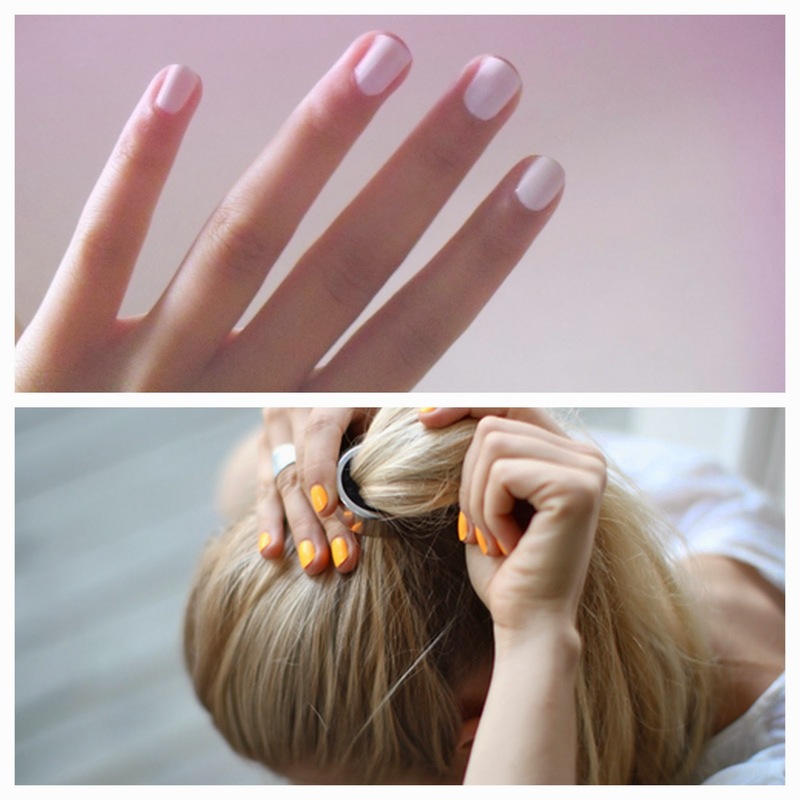 1.What's your favorite summer nail polish? I think it won't be a big surprise for many of you, but the colors I am going to say are really hyped this season. The nail polish colors of choice for me are white and orange. No particular brands although I love Rimmel Rita Ora white nail polishes. 2.What is your favorite lip color this summer? For me to chose one favorite lipstick color is like asking mother's which is her favorite child but if you insist... I am going to cheat a little bit and I won't say anything about lipsticks because I don't wear so much lipstick in summer, I prefer lip glosses and the ones the I would reach write now are my new Maybelline Colorsensational Shine in Glosses in Fabulous Pink and Electric Orange. 3.Show us your favorite summer dress. My closet is full of short dresses, but my current favorite is the complete opposite of my wardrobe majority. 4.What is your favorite summer accessory? Again it is very difficult for me to choose between two because one is absolute essential for summer and other is a very precious gift for me. So, the first one as you may guess are sunglasses and the second one is the ankle bracelet that my boyfriend gave to me. 5.What summer trends are you most excited about this year? 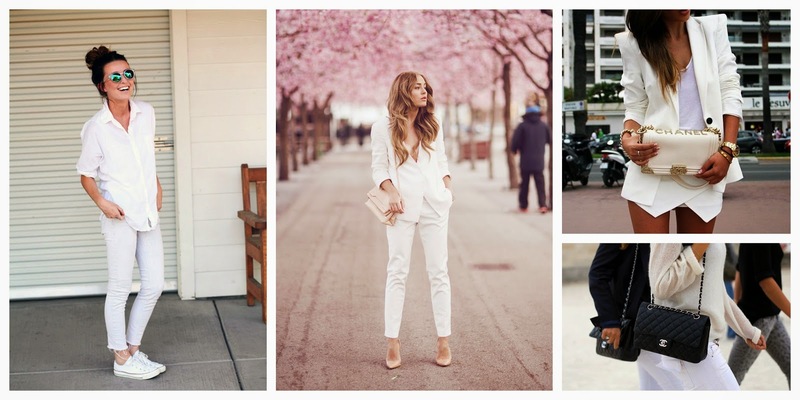 Although the best thing for the most people about warm seasons is that they can bring out some color to their outfits, my favorite trend is all white looks. All white outfit for me looks very put together, chic and sophisticated. 6. What is your favorite summer candle? All year around vanilla scented candles! 7.What is your favorite body spray and perfume? My all time favorite perfume is Escada Desire Me . If you want to know more about my perfume collection I did the whole blog post about it. And the scenario that I can't choose between two things repeats again. I couldn't make my mind in store which body mist I like more so I bought both Body Shop body mist in vanilla and in moringa(also did a blog post about it). 8.What is the weather like where you live in the summer? Well I live in Lithuania and the weather here used to be the most perfect summer weather of all times. It used to be warm but not too hot, it used to rain occasionally but not too often and not too strong and know because of the climate change everything is different more and more extreme weathers occur. 9.What is your favorite thing about the summer? That for the brief period of time I can forget my studies and enjoy being with friends and living normal adult life.Sounds funny. 10.What are your plans for summer vacation? No big plans I just want to find a job and go to some part of Skandinavia with my boyfriend for a short holiday. These were all the questions. I hope the answers wasn't too long for you. I am tagging Elizabeth from Little Beauty Blog, Paula from Beauty Lover, Emma from Emma's Beginning and of course everyone who read this! I hope you will have a wonderful time during the rest of the weekend! Stay fabulous! Paula, your welcome, I really enjoy reading your blog! Love your maxi dress and the neon orange nail polish! Great post! I loved those nail polishes you chose!! Especially the orange one! It is so unique and bright! Perfect for summer! Thanks so much for the tag! I will definitely be doing it!! Hi, I loved your summer dress its so pretty and also the nail polish! I also have a favorite pair sunglasses :) Thank you for what you wrote about me, it was really nice and made my day. Summer fling is a friendly lifestyle, beauty and fashion blog.